Jolla, the Finnish mobile device maker that raised eyebrows earlier this year by snubbing some of its crowdfunding backers, made a surprise appearance at Mobile World Congress with a new smartphone in tow. If you recall, Jolla announced last summer that it was splitting its business into two by licensing its software to other device makers. The move would allow the company to continue developing its own hardware while simultaneously building up the Sailfish OS install base. 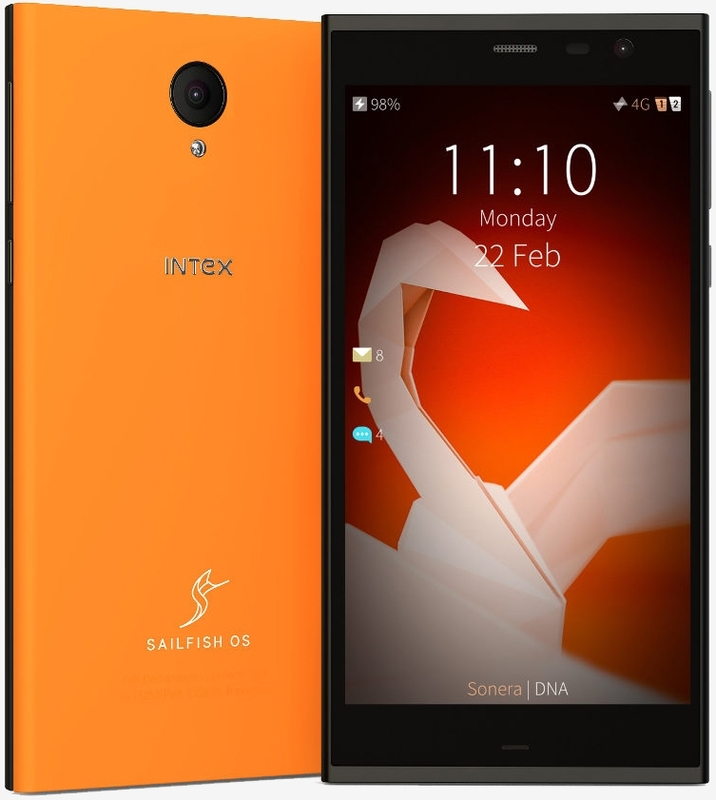 The Aqua Fish from Indian handset maker Intex Technologies is a product of the latter. The Aqua Fish features a 5-inch TFT display operating at 1,280 x 720 and is powered by a Qualcomm quad-core SoC clocked at 1.3GHz alongside 2GB of RAM and 16GB of storage (expandable via microSD card slot). There's an 8-megapixel camera on the rear as well as a 2-megapixel shooter up front. Connectivity-wise, the Aqua Fish includes 802.11 a/b/g/n/ac Wi-Fi, Bluetooth 4.0, GPS, 4G LTE and a micro-USB 2.0 port. It'll ship running Sailfish 2.0 and is powered by a smallish 2,500mAh battery. Jolla says the Aqua Fish handset will go on sale this April in India. It'll be offered in orange and black color schemes and is rumored to be priced between $120 and $150. No word yet on whether or not it'll make its way outside of India.